Provide comfort for the family of Leon Yaskowich with a meaningful gesture of sympathy. Peacefully at Guelph General Hospital surrounded by family. 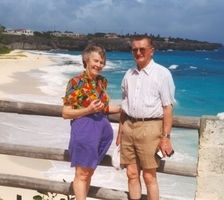 Leo will be deeply missed by his beloved wife of 62 years, Deloris, who held his hand until the end, and his children, John (Charlene) of Ottawa, David (Ingrid Rost), Marie (Geoff) Craig, Loretta (Mark) de Sousa of North Bay, Annette (John Burns) and Margaret, still at home. Admired and enjoyed by his eight grandchildren, Sarah, Kyla and Alexander Craig, Elaine and Thomas de Sousa, Galen, Pierce and Nolen Burns. Leo was the step-grandfather of 3 and step-great-grandfather of 5. Survived by his sisters, Agnes, Lucy, and Koni and brothers, Syl and Bernard; sisters-in-law, Irene, Linda, Carolyn and brother-in-law Bill Lalach; as well as 76 nieces and nephews most of whom reside in Saskatchewan. Predeceased by his parents, Anthony and Julia, his sisters, Elsie (Joseph Bodnarchuk), Mary (Herman Habetler), Cecilia (Leo Brecht), and his brothers, Edmund (Laurie), Stanley (Dorothy), Lawrence, Carl, Henry, Louis (Fr. Damian), as well as brothers-in-law, Stanley Meakin and Tom Evans. 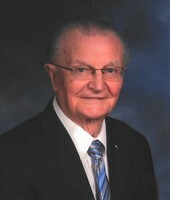 After graduating as a Mechanical Engineer from the University of Saskatchewan in 1952, Leo began his career as a consultant in Alberta and Saskatchewan; before moving to the University of Guelph where he worked until he retired in 1988, after which he did private consulting for 10 years. Leo was a hard-working, family man who was always in the service of other people and those he loved. He was a 4th Degree member of the Knights of Columbus, volunteered for Scouts Canada, Guelph Minor Football and supported of Hopewell Home and Sunrise Equestrian Center. Leo was a devout, long-standing parishioner of Holy Rosary Church and served on various committees. 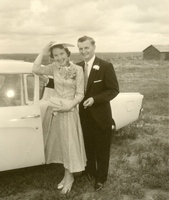 Leo and Deloris were always happy to open their home to participants of Katimavik, NET, and a multitude of family and friends. Although Leo moved away from family in the West to establish another home in Guelph 51 years ago, he always made sure his children kept an appreciation and love for their relations in the Prairies. He had an enthusiasm for camping and the outdoors, along with any improvement project that came to mind. He took great delight in his family’s accomplishments as the beloved patriarch who had a quiet and dry sense of humour. He will be much missed and loved, but not forgotten. Visitation will be held at Gilbert MacIntyre & Son Funeral Home, Hart Chapel, 1099 Gordon Street, Guelph, on Sunday, February 10, 2019 from 2:00 to 4:00 p.m. and 7:00 to 9:00 p.m. A Funeral Mass with a Knights of Columbus 4th Degree Honour Guard will be held at Holy Rosary Church, 175 Emma St. Guelph on Monday, February 11, 2019 at 10:30 a.m. Cremation has taken place. Private inurnment at Our Lady Immaculate Mausoleum, Marymount Cemetery, Guelph. 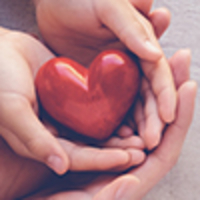 As an expression of sympathy, donations to the Holy Rosary Church's Capital Fund, Knights of Columbus Council 1507 or the Canadian Cancer Society would be appreciated by the family. Donation cards are available at the funeral home (519-821-5077) or online donations and condolences may be left at www.gilbertmacintyreandson.com. We encourage you to share your most beloved memories of Leon Yaskowich here, so that the family and other loved ones can always see it. You can upload cherished photographs, or share your favorite stories, and can even comment on those shared by others. Central Region sent flowers to the family of Leon Yaskowich. Wishing the Yaskowich family peace and warm, loving memories. Our condolences on the passing of Marie's father. We are thinking of you.